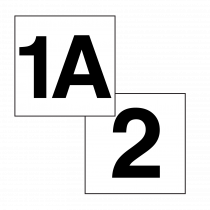 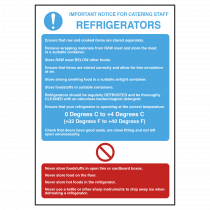 The signs and notices in this section are designed to keep catering staff aware of which areas are for raw meat preparation, also other areas such as cooked meat, raw fish, pastry, salad and fruit. 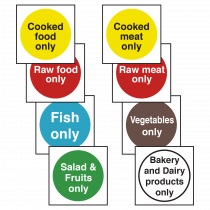 Sinks are for what purpose, pot wash, hand wash, food wash, utensil wash, inform your staff. 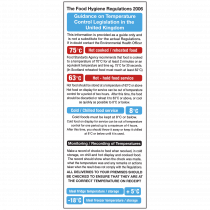 Safe or un-safe drinking water. 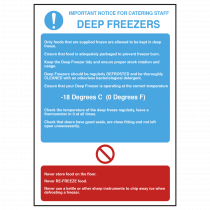 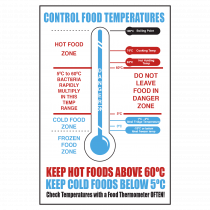 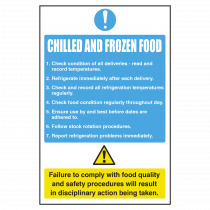 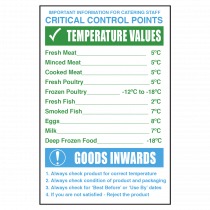 Our fridge and freezer temperature guides assist catering staff in keeping food to the correct temperatures. 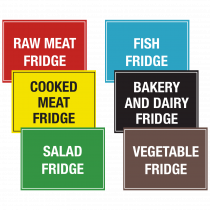 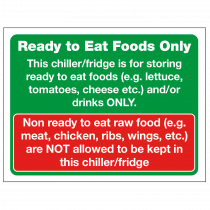 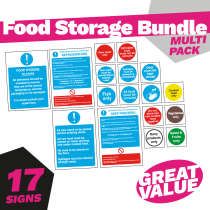 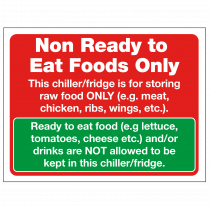 Signage helps staff Identify which fridges and freezers are for what foods. 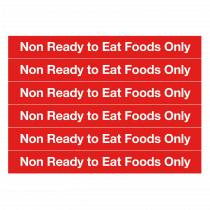 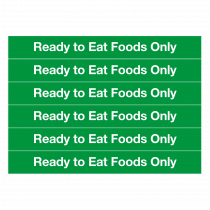 Ready to eat foods or non-ready to eat foods. 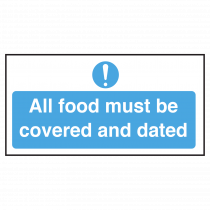 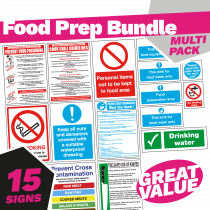 Signs & Labels play an important role in the kitchen and shows good practice with staff, visitors and the Food Hygiene Inspector.